Today I pull one of the first books I wrapped back in Philly, which leads me to talk about the (relatively limited) number of times I’ve moved in my life – all but two of which are documented here on CK! Plus, how we (or, at least, I) grow to fit the space that I occupy. 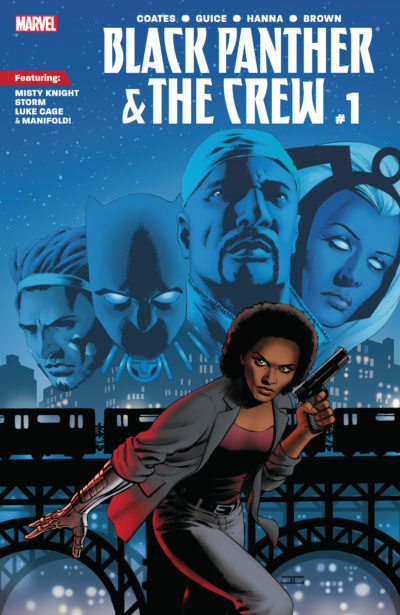 After a much longer-than-intended introductory chat, I open an unusual omnibus that’s as much a collection of magazines as it is comic stories – including the first stories of Daughters of the Dragon, Misty Knight and Colleen Wing! Episode 50 features Deadly Hands of Kung Fu Omnibus, Vol. 2. For more information on these stories, see the Guide to Shang-Chi. As we continue our trip backwards down Marvel Memory Lane, I’m here to convince you to read – or, at least, covet – 12 more Marvel runs, this time from 1998 to 2008. While my concurrent period of X-Men looked at 2001 to 2008, for the rest of the Marvel Universe 1998 was a better starting point. That’s because Marvel’s Avengers and Fantastic Four franchises relaunched new volumes in 1998, and Spider-Man and Daredevil were rebooted within the next year as well. I’ve read less of Marvel outside of X-Men, so I’m being a little choosier with these runs so I don’t lead you astray! That’s not only a choosiness in quality, but in self-containment. 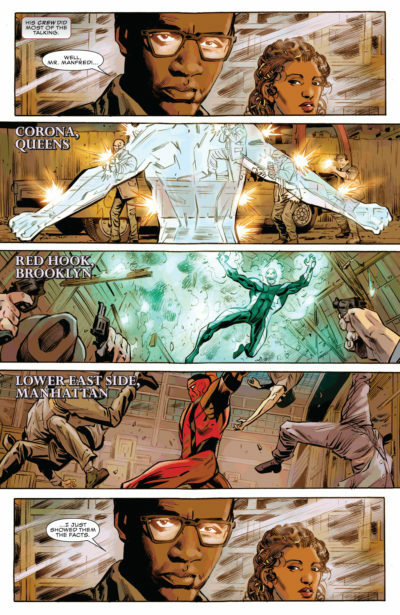 While Marvel’s Universe was a little more siloed from 1998 to 2005, once New Avengers arrived titles became increasingly intertwined and reliant on events to launch and intersect with them until we hit peak tie-in after Secret Invasion in 2008, with the entire Marvel Universe being affected by Dark Reign in one way or another. These runs aren’t that – they’re comics you could sit down and enjoy today regardless of your foreknowledge about a certain plot or character. While some of them intersect event series, none of them rely on your reading the main event to enjoy their chapters. If you want to see any of these runs released in all-in-one omnibus editions, perhaps you should include some of them on your Most-Wanted Marvel Omnibus Secret Ballot – votes are due this Sunday! However, omnibuses are not your only hope! The majority of these runs are collected in hardcovers and trade paperbacks listed in Crushing Comics’s Guide to Collecting Marvel Comic Books, and the vast majority of the issues are available on Marvel Unlimited, a $10/month Netflix-for-Marvel-comics. Of course, all potential collection mapping comes with a disclaimer: all of my suggestions are subjective and subject to improvement, or at least spirited debate. If you have a correction, alteration, or disagreement, there’s no need to be shy – I’d love to hear from you in the comments, below.